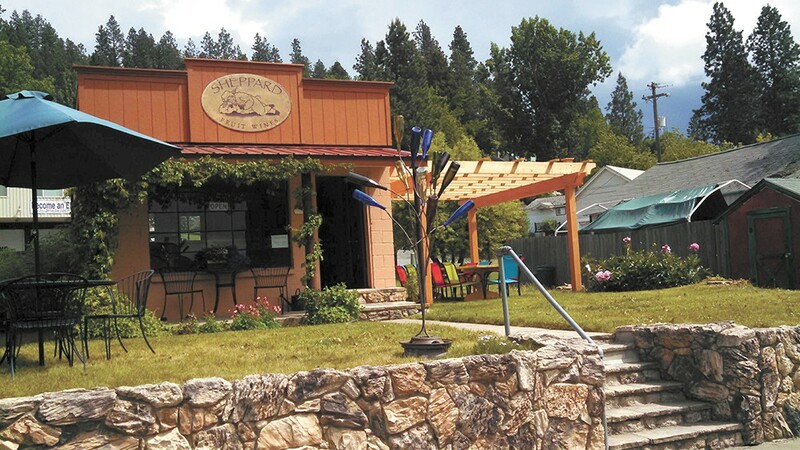 Sheppard Fruit Wines has found a pleasant home and plenty of fans in Harrison, Idaho. Fruit wine may have gotten a bum rap with cheap, cloyingly sweet brands like Boone's Farm, but wine from something other than grapes offers an interesting alternative with almost limitless possibilities. And it's somewhat easy. If you have fruit, sugar and yeast, you're well on your way (a friend makes something he calls trash-berry wine from all the wonderful fruit left over from their garden), making fruit wine a popular choice for homebrewers. Jim and Julie Sheppard, for example, created fruit wine as a hobby in 1998 with the abundance of fruit within reach of their Harrison, Idaho, home: blackberries, elderberries, raspberries, pears and plums. Although their first efforts weren't very successful, says Jim, they persisted, encouraged by friends and family, including Julie's mother, who remembered her aunt in England making fruit wine. "The wonderful nuances that came from the fruits were quite rewarding," says Jim, who when he's not making wine, is captain of the Harrison Fire Station. In 2007, the Sheppards turned their hobby into a business that continues to gain in popularity, nearly doubling sales every year, says Jim. They've expanded flavors, added a popular tasting room and are now capable of producing 500 cases per year. Sheppard Fruit Wines have been available throughout much of the Idaho panhandle — Harrison, Silver Valley, Sandpoint, Rathdrum, Coeur d'Alene, Post Falls — as well as online to 18 states via VinoShipper.com. A recent contract with a local distributor means that Sheppard Fruit Wines soon will be available in Spokane markets.